You know you want to go on a Pilates retreat! You’ve been wanting to do more Pilates, take more time away, see the world and get some true rest, relaxation and adventure. But, you haven’t done it yet. You haven’t signed up for a Pilates retreat and you and desires are both wondering why? 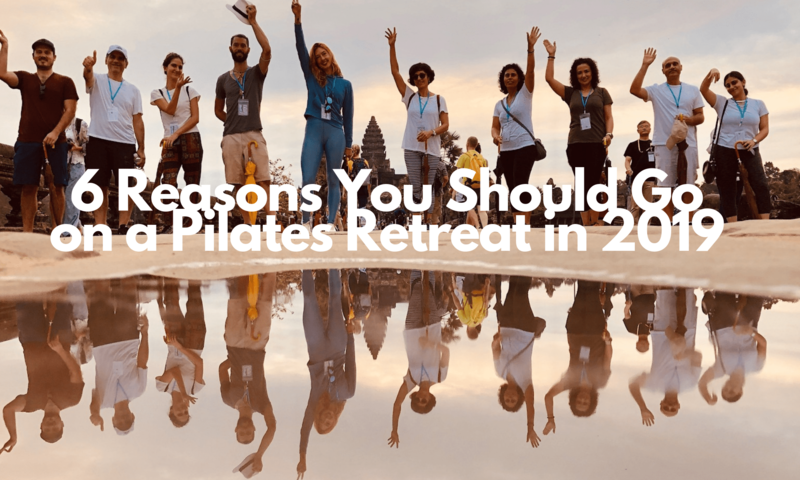 Well, maybe you just needed 6 more reasons to pack your back and join me on a Pilates retreat this year. Pilates gets better and better the more you do it! Imagine how amazing it will feel to do Pilates every day? On a Pilates retreat with me, we do sunrise Mat classes every day. Before you hike, tour, hang out in a hammock you get your 100 on! A curated adventure! You already have a million things to plan in your week, month and life. When you are on a retreat all you have to do is show up. The schedule is curated for you, the food is all figured out and you can even put your phone away and simply be present in the moment where you are. Travel is fun with friends! Even if you go on a retreat alone you are so not alone. Every retreat group because it’s own mini family. This allows you to travel far and away even as a single person. How great is that? Sunrises and Sunsets are better together! When we are where we live, sleep and work it’s so hard to be present, notice the world around us and take in the beauty of a sunrise or sunset. You might even live somewhere that doesn’t set a stage for a good sunset or sunrise. Maybe the buildings are to tall, the landscape to urban, the workload to big for you to be with the first or last light of the day. But, when you’re on a retreat the schedule allows for rest, fun and absolute presentness for the change in the day. FOOD! I mean, need I say more? I don’t know about you but I am no chef. However, on a Pilates retreat, I never eat better. In Siem Reap, I have a private chef come to the house and curate meals that can fuel any dietary restrictions. In Maui on our in house private chef will blow your mind with taste and teach you how to create magic sauces when you get back home. Finally, take a week for yourself. Every year comes and goes and how often are you taking a trip that is just for you? I know you have weddings, family and other life obligations but wouldn’t it be nice to pack your bags and take a trip that was all about you getting to see what you see? So, what are you waiting for? Why are you not giving yourself the gift of regular Pilates, time away from your routine and an adventure you’ll look back and smile? Maybe you were just waiting for me to write this blog post and twist your arm? Have I don’t that yet? I so hope I have!